Gosh, I haven't gone this close to being naked in a very long time! I had quite a long free edge (before I filed them down a bit) so I thought it would be nice to do some sort of design as a french tip. I've never tried stamping the french tip on, even though I have so many stamping plates that have french tip designs. 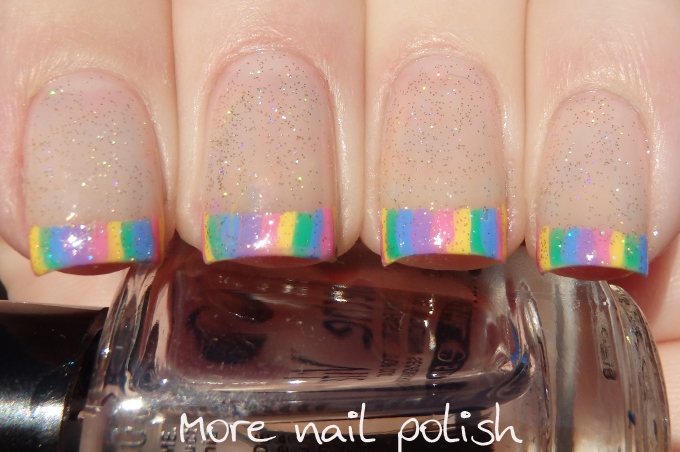 In fact I've hardly seen anyone using those french tip stamp designs. Does anyone actually use those? I started my mani with two coats of JOSS Oh So Natural base. It has a slight tint to it, but is still a perfect nothing shade on me. Once that was dry, I used french tip nail vinyls to mark off the tips. 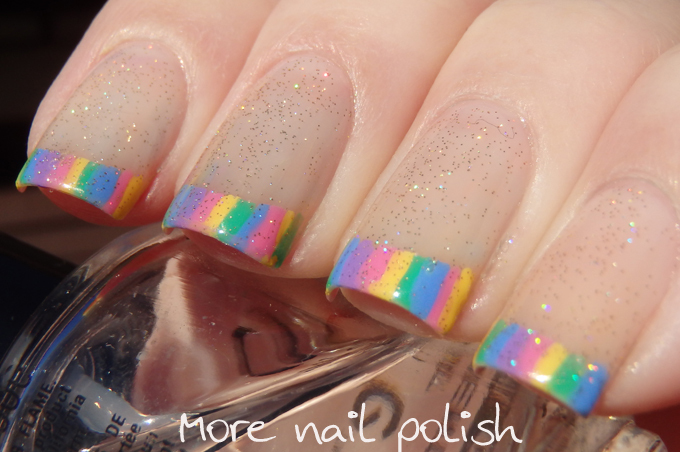 Then I started painting vertical stripes using a fine nail art brush and a range of pastel rainbow colours. 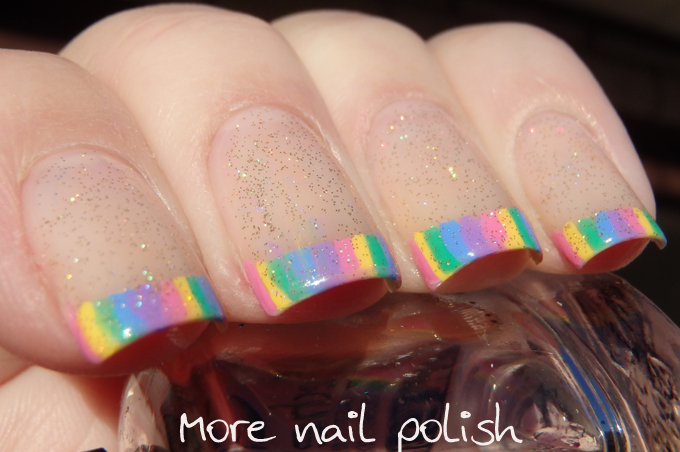 I love the rainbow tips! Nope never used a french tip either. 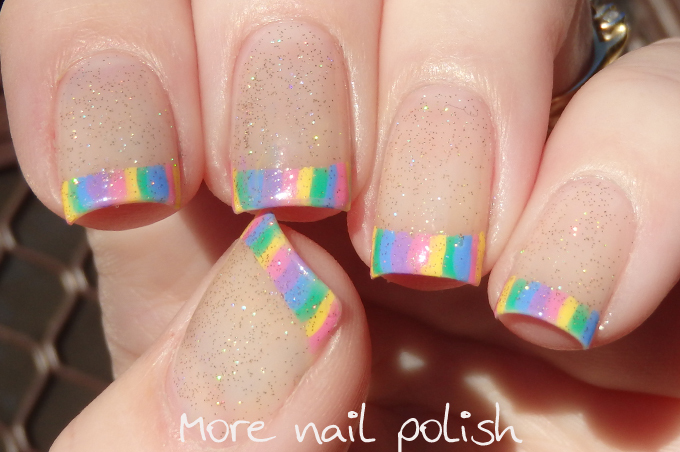 But love yr rainbow French tips.